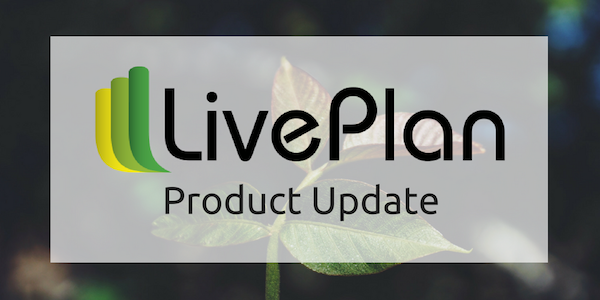 I’m really excited to announce that we’ve launched several new features that make the LivePlan Dashboard even better. If your business uses QuickBooks Online or Xero, LivePlan can now automatically create a business dashboard in seconds, create printed and PDF reports for board meetings and presentations with your own branding, and automatically create your budget and forecast. We know you’d rather be working to hit your goals than setting up a business dashboard. The LivePlan Dashboard connects directly with your accounting software (QuickBooks Online and Xero) and sets up your business dashboard automatically—no customization or coding required. With your dashboard, you’ll be able to make sense of your business numbers without using spreadsheets, which will save you countless hours. You can dive right in and see how your business is doing with easy-to-understand charts and graphs, all without any setup or complex reports to run. This way, you can focus on growing your business rather than running reports. If you need to share financial reports with investors, your board of directors, or your management team, you know that building those month-end reports can be a hassle. The LivePlan Dashboard now makes this task simple with impressive visual reports (that include your own logo) that will keep your audience engaged. LivePlan already made budgeting and forecasting easy with step-by-step guides that walk you through the entire process. But now, if you’re already using accounting software, you can just import your accounting data and apply growth rates or tweak the numbers manually to have a complete budget and forecast in no time. You won’t have to re-key data or set up your forecast. LivePlan will generate your initial forecast entirely from the data that’s already in your accounting system. If you use Classes in your QuickBooks to differentiate locations or lines of business, then you can now run reports on those classes right in the LivePlan Dashboard. 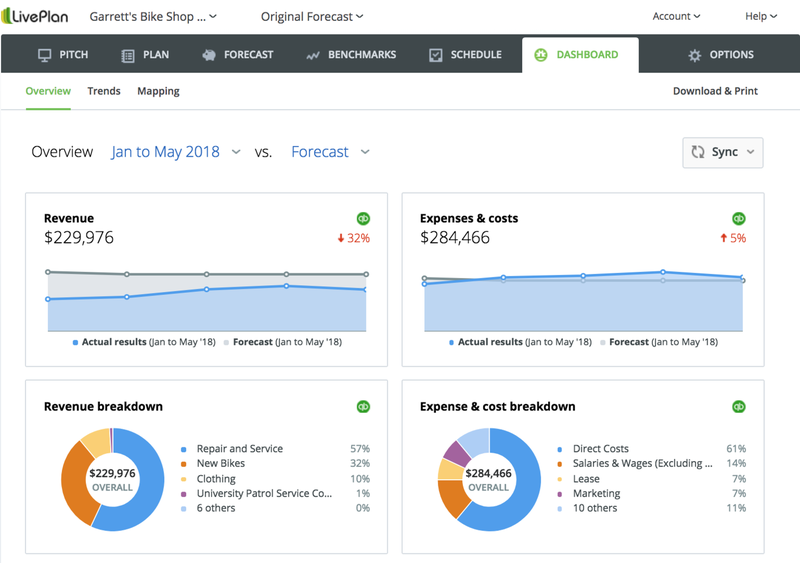 The dashboard shows all your important financial information by Class, as well as forecasting stream without having to run any complex QuickBooks reports. I hope these new features make the LivePlan Dashboard even more useful for you. If you have feedback or would like to tell me what you’d like to see included in LivePlan, you can find me on Twitter @noahparsons.